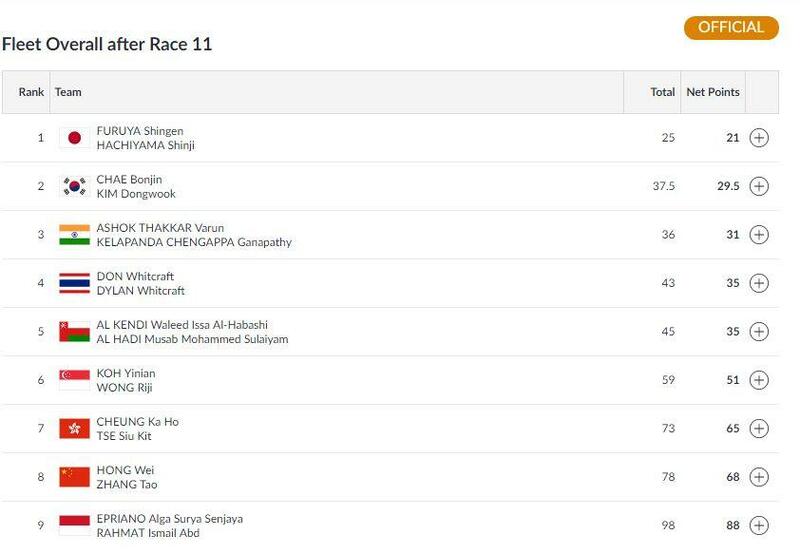 The Women's 49er FX race is finished as the Indian pairing of Varsha Gauram and Sweta Shervegar are in the second spot. Overall fleet standings of the Men's 49er before the final race. 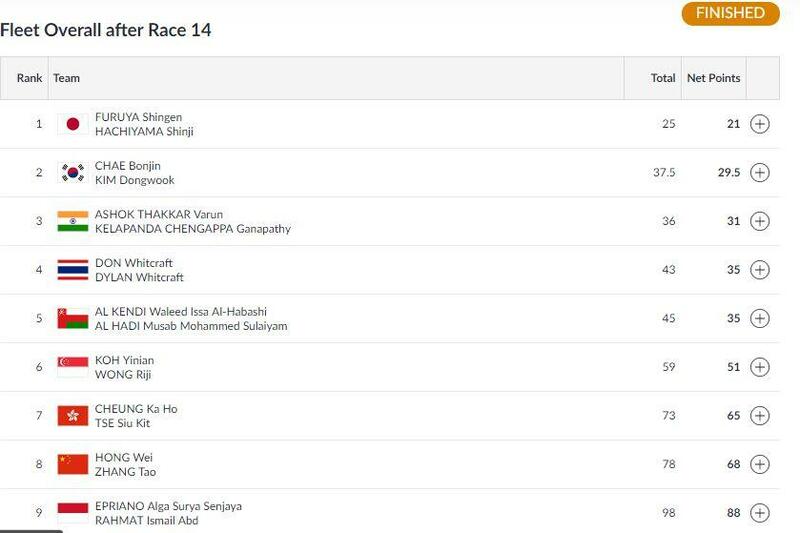 The Men's 49er Race 14 has come to an end and the Indian duo of Varun Thakkar and Ganapathy Kelapanda have maintained their 3rd spot in the overall standings. The final races in the Men's 49er and Women's 49er FX are underway and we will have the results right here. 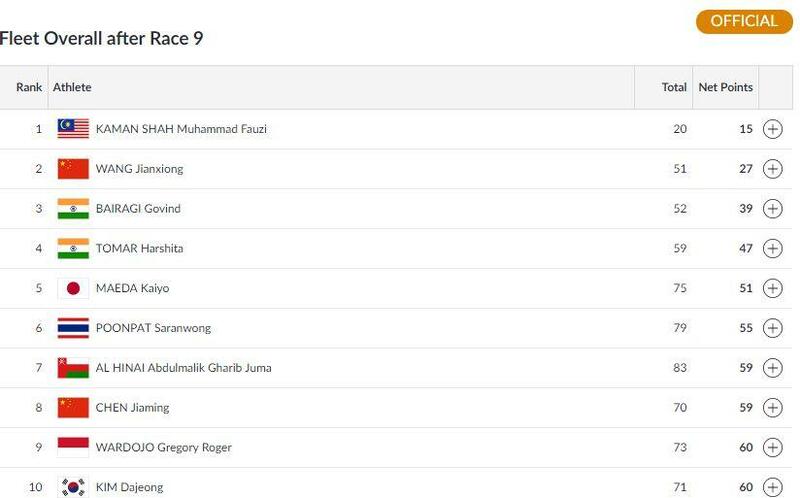 The Indian pair stay in the medal hunt at the end of today's Races 10 and 11. 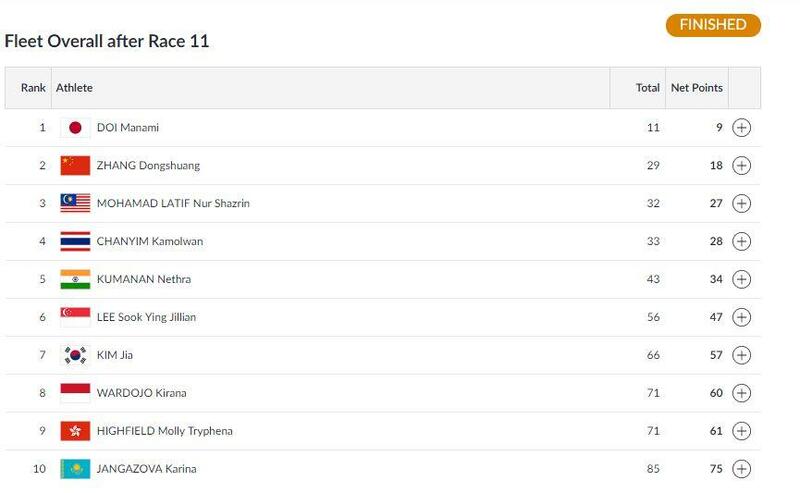 The final race will be held after two days as Nethra Kumanan will hope to get into the top 3 and get a podium finish. The Men's 49er Race 12 is now live as the Indian duo of Varun Thakkar and Ganapathy Chengappa compete to clock a good time on the sails. 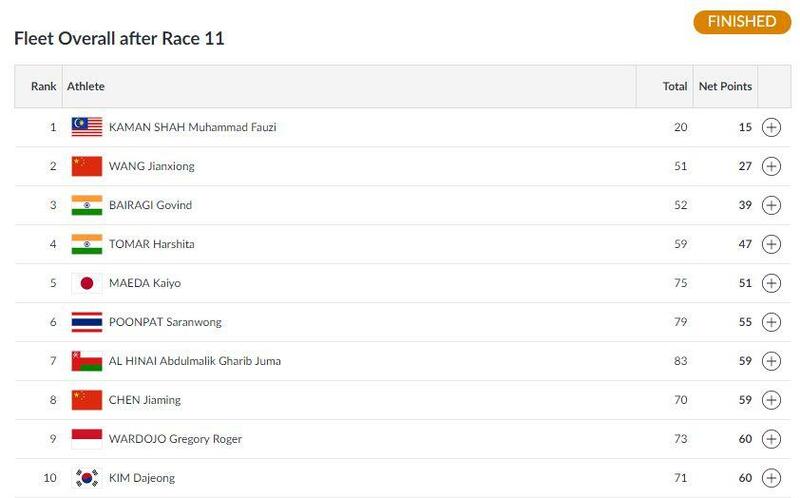 Race 10 in the Mixed Open Laser 4.7 is now live as Govind Bairagi and Harshita Tomar look to maintain their position in the standings. 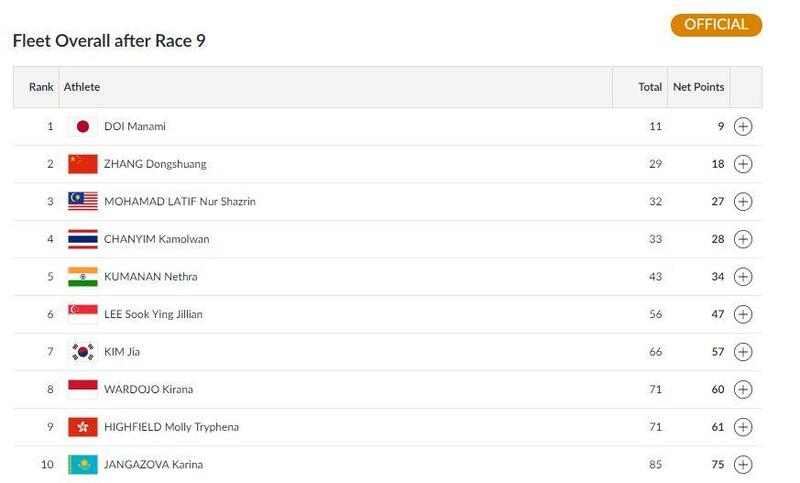 Women's Laser Radial Race 10 is now underway as Nethra Kumanan will hope to improvise her position in the fleet. Women's 49er race has begun now as the pair of Varsha Gautham and Sweta Shervegar compete to stay on a good spot in the standings. Hello, and welcome to Sportskeeda's LIVE coverage of all the Sailing action from the 2018 Asian Games in Jakarta-Palembang. 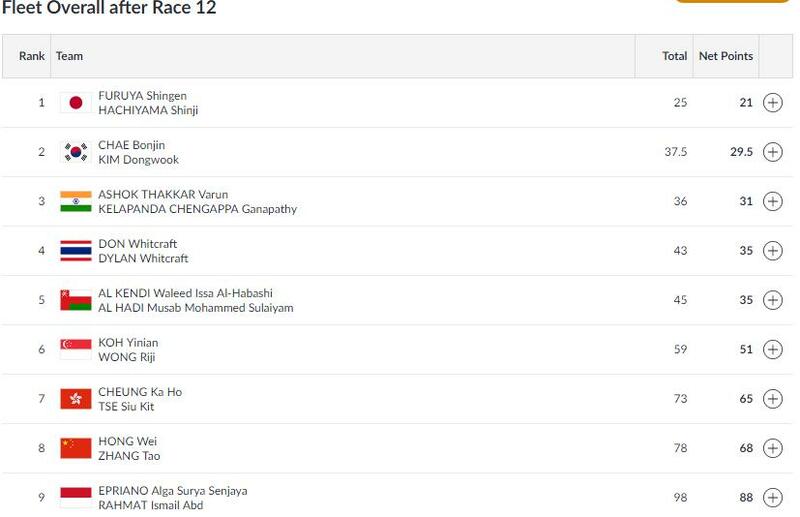 The Indian sailors are set to participate in four sailing events today -- Men's 49er (Varun Thakkar and Ganapathy Chengappa), Women's 49er (Varsha Gautham and Sweta Shervegar), Laser Radial (Nethra Kumanan), Open Laser 4.7 (Govind Bairagi and Harshita Tomar).